An effective way to convey, heat, cold, moisture and medicinal aid for relieving pain, reducing inflammation, and pulling toxins from the body. Poultices are a simple but very effective and powerful way of healing wounds, splinters. infections, inflammation, swollen glands, skin eruptions, breaking up mucus and to pull toxins from the body. There are many ways you can prepare a poultice depending on materials and equipment available to you. Fresh Poultice - the most basic of poultices is to simply place the fresh herb or plant over the area of concern and either hold it in place or tie with other plant material, fabric or ties of some kind. You could also crush, mash or chew the plant material to release more of it's healing properties. If available fresh poultices are best made using a mortar and pestle. Powdered, dried material poultice - you can easily hydrate powdered or dried herbs by pouring a small amount of boiling water over the plant material and letting it sit for a few minutes. Strain without squeezing out the liquid, wrap in cheesecloth or thin cotton fabric and apply to the area of concern or make a thick paste by adding slippery elm, ground flax seed, cornmeal, etc. and apply about an inch thick over area of concern. This can be covered with a clean cloth to keep from rubbing off and getting all over clothing. Tea bag poultice - a very easy and convenient way to make a poultice is by simply making a cup of tea and using the tea bag as the poultice. These can be used either hot, straight from the cup or cold, letting the bag cool to room temperature. Heated vegetables - many vegetables that have been cooked or heated make great poultices such as pumpkin, tomato, onions and garlic. Test the temperature before applying to the skin and cover with plastic and a towel to protect the clothing, hold in moisture and to keep warm. Hot poultice - you want to use a hot poultice when you need a pulling action such as for splinters, infection, and any type of skin eruptions. Hot poultices also break up the mucus in respiratory and sinus infections. To make a hot poultice use either fresh or dried plant material, but heat it with a small amount of boiled water for a few minutes. Strain, but don't squeeze. Apply either directly to skin or wrap in cheese cloth or a thin cotton cloth and apply to area. Cover with plastic wrap to hold in the moisture and heat, then apply a thick towel or heated water bottle, do not use an electric heating pad, this is a dry heat and will be counterproductive. These are best applied overnight or if using during the day keep on until the poultice cools. It can then be changed with a fresh one. Cold poultice - a cold poultice is used to reduce swelling and inflammation. They also are soothing for puffy, irritated eyes and very effective when treating eye infections. Prepare a cold poultice by preparing plant material as listed above but letting the material cool to room temperature or even placing in the fridge until desired temperature is reached. A fresh plant poultice is always used cold and is still effective for pulling toxins and infection from body when access to heat is not available. 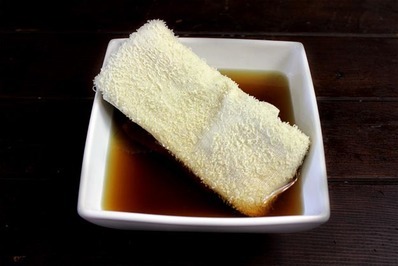 The compress is simply a cotton cloth soaked in dilute tincture, full-strength infused herbal oil, castor oil, herbal tea, or decoction that is applied to the skin and held in place by hand or by a long strip of cotton cloth. The compress may be renewed again and again by soaking in the herbal extract. Making Plant Medicine. A compress is also known as a fomentation and are used to relieve pain, inflammation, reduce swelling and relax areas of the body. Any liquid can be used for a compress including herbal tea, herbal infused oil, castor or olive oil, essential oils added to water, Epsom salts dissolved into water and apple cider vinegar to name a few. Like poultices they can be used hot or cold depending on what you are treating (see above). Sometimes you need to poultice or compress areas that are tough to reach or awkward. This is when an ace bandage comes in handy, you can apply the plastic wrap, towel or cotton diaper or cloth and then wrap the ace bandage around the appendage to hold into place. Just make sure that you wrap it loosely, especially if you are treating a sore throat or swollen glands around the neck. I had to poultice a bottom once and for that I just wrapped the crushed and heated herb in a cheesecloth burrito style, but flattened. I had the patient on lay on his stomach, put the burrito poultice on the area and pulled up tight underwear over the burrito to hold in place. As I say a lot, sometimes you have to just get creative.